There are different designs of dresses so there is something for everyone. 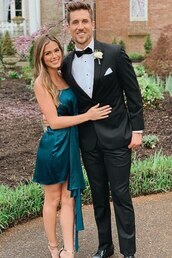 To choose the most flattering long prom dress, little black dress or homecoming dress, choose one that highlights your best features and minimizes others. For instance, go for short, pretty dresses to show shapely legs and long gowns to show toned arms and hide a heavy bottom half. If you have the body for it, choose a bodycon dress that hugs every curve. Choose for the weather and occasion too and opt for cute and casual for summer and a long, evening dress or gown for chilly weather and formal events. Choose right and you will look beautiful.